The National Science Foundation (NSF) supports ECEP through its Broadening Participation in Computing Alliance (BPC-A) program. The Expanding Computing Education Pathways (ECEP) Alliance seeks to increase the number and diversity of students in the pipeline to computing and computing-intensive degrees by supporting state-level computing education reforms. Through interventions, pathways, partnerships and models that drive state-level computing education change, ECEP supports states as they work to align their state efforts with the national vision for computer science for all. 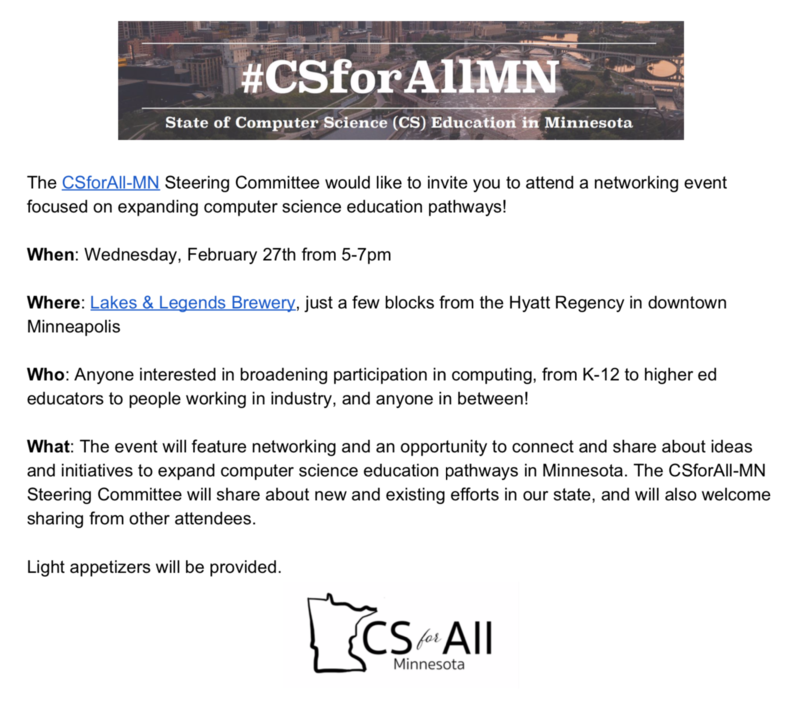 If you would like to receive updates about CSforAll MN, including the summit and landscape report, or you would like to volunteer to help with these projects, please complete this interest form.